What a week! I went hiking last Saturday with one of my best friends, and when I came home, I suddenly had a cough deep in my chest. Didn't feel super on Sunday and decided it must have been allergies, probably triggered by the dumb idea of exercise. I went to work, and started some Claritin and Flonase, met my daughter for dinner, went home and began feeling more like death. I went to work and ran over to urgent care, where I was diagnosed with pneumonia. So I went back to work and finished out my day in a haze of coughing and fever. Then I came home and spent the next three days on the couch, moving as little as possible, cowering in fear of the p-word. Let me explain, two years ago, I got pneumonia - 3 times in six months. It was awful, but initially I kept going to work no matter how bad I felt. 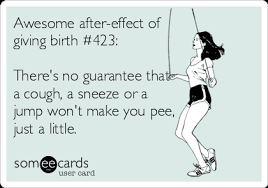 I didn't stay home until the coughing was so bad that I was peeing my pants (nothing would be more awkward than peeing your chair in the middle of a meeting). Then I stayed home and worked, sitting on a beach towel for my coughing spells. I was tested for Valley Fever (an Arizona disease), had multiple X-rays, took multiple antibiotics, had all sorts of blood tests. Everything was normal, except the pneumonia that I couldn't shake. I finally had to admit that my stress level, and my refusal to rest was the real problem. I just wouldn't give myself time to heal, because in my mind, work can't run without me. No matter that everyone else has no problem being home sick and not taking calls, or answering emails. I feel that Catholic guilt that compels me to keep giving until it hurts (me). powerful blockbuster novel that explores hot-button issues within the framework of an intricately plotted thriller. When a woman and her husband, desperate for a baby, find themselves unable to conceive, they decide to take further steps. Since it is the husband who is infertile, the heroine decides to use a donor. And all seems to be well. Three months pass and she is happily pregnant. 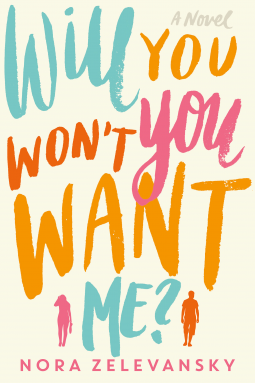 But a shocking revelation occurs when she discovers that a man arrested for a series of brutal murders is her donor - the biological father of the child she is carrying. Delving deeper to uncover the truth, the heroine must face her worst fears, and confront a terrifying truth. 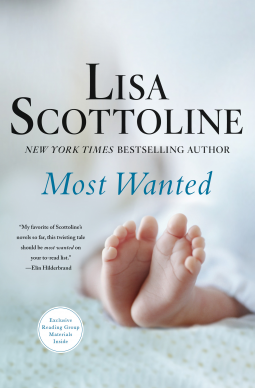 Most Wanted is sure to be Lisa Scottoline's most discussed, bestselling novel yet. your average washed up prom queen. After all, her New York City prep school was too cool for a royal court. Yet, ten years after high school graduation, she is undeniably stuck in the past and aching for that metaphorical tiara. 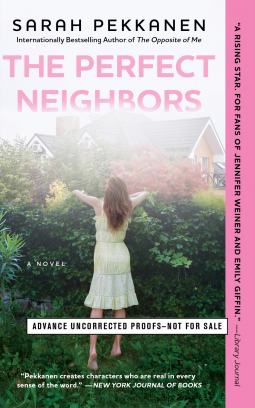 from the internationally bestselling author known for her “conversational writing style and a knack for making readers care about her characters” (The Washington Post) takes us into the homes of an idyllic suburban neighborhood where we discover the burning secrets hiding just below the surface.